Scoring big at a shuffleboard game really invigorates the spirit and inspires confidence in those just beginning to learn. There are many different game variations, each one containing specific rules for point values. Despite these differences one thing will never change: the need to track scores during game-play. Players with a competitive nature want to focus on their game, not on taking the extra time needed to assure proper number logging. While you can certainly go the way of keeping sheets of paper and pencils nearby to tally the points as you go, the team at Venture Shuffleboard offers several great alternatives for you to consider. Electronic scoring systems really bring shuffleboard games into the modern age. 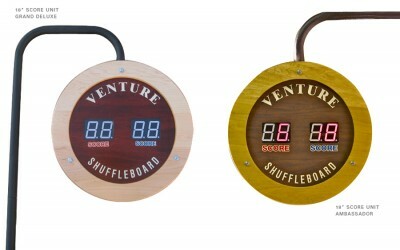 Venture’s round electronic scoring units are 18” in diameter, and hang above the playfield. Points for each side will appear in clear numbers, allowing them to succinctly assess the situation and calculate how many points remain for them to best their opponents. The Grand Deluxe Triangle Scoring unit comes in a hardwood finish that can be stained to match that of your shuffleboard. This feature adds to the substantial list of customization options that Venture offers for owners seeking more individuality. Scores are digitally shown on the triangle’s side displays so it remains visible to both teams as well as eager spectators surrounding the game table. For those who like to keep it simple, the black triangle scoring unit is a perfect choice. This electronic scoreboard is similar to the Grand Deluxe Triangle Scoring Unit, but shows off a completely black coloring. It has all of the functionality of other electronic systems, yet accentuates the shuffleboard’s finish through stark contrasts. 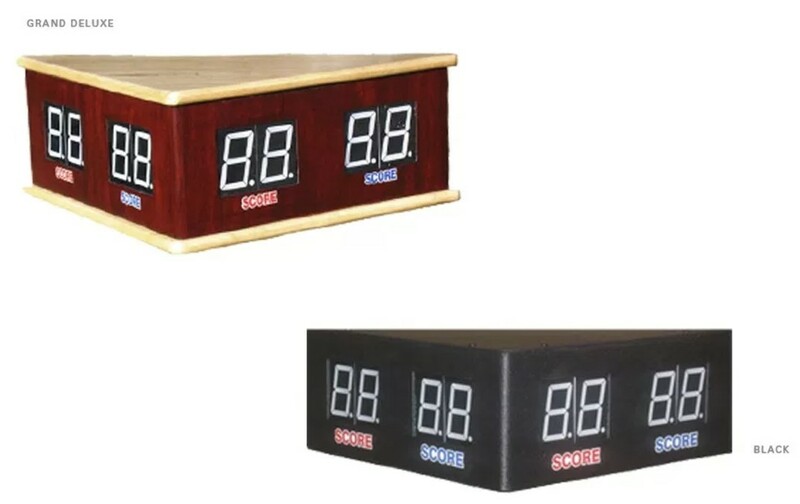 Coin Operated Scoreboards offer businesses the ability to reserve their shuffleboard for paying customers. Coin-Op systems are also great for residential use, as they appeal to a sense of nostalgia for traditional arcade setups. In both competitions and recreational play, scoring is necessary for gameplay. Recording scores allows beginners to track their progress and professionals hone their skills. Venture acknowledges and understands this, integrating custom options that assist each and every player, from novice to champion. If you’re looking for a manufacturer that maintains a standard of excellence not only in scoring system options, but high-quality craftsmanship in every possible area, look no further than our selection of Venture shuffleboard tables! 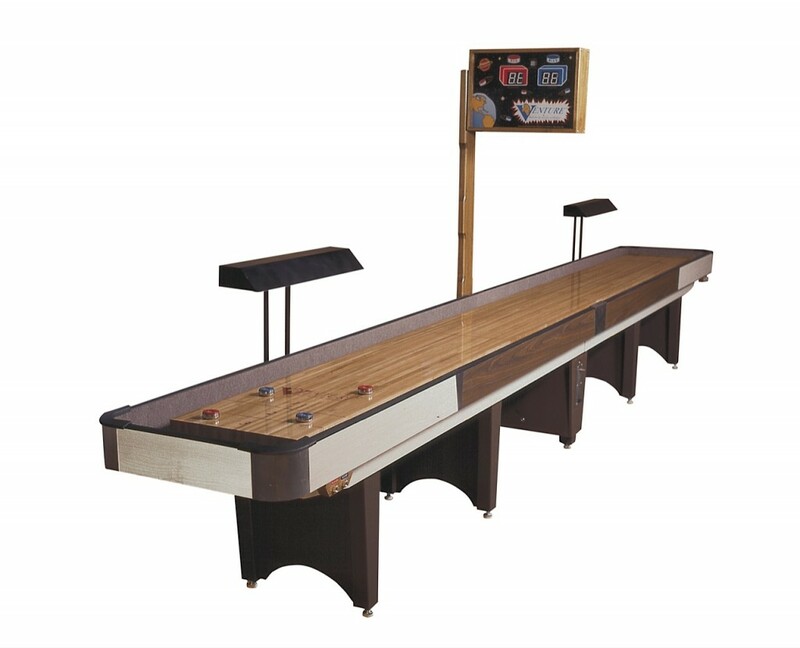 This entry was posted in Shuffleboard Accessories by admin. Bookmark the permalink.